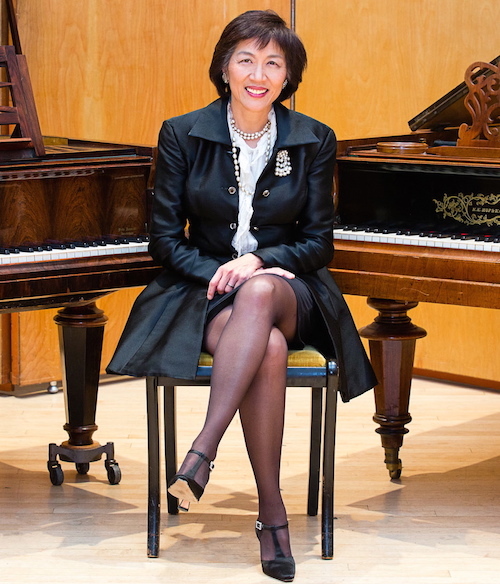 Gwendolyn Mok studied at the Juilliard and Yale University, completing her doctorate at the State University of New York. In 1994 she became the last student of Vlado Perlemuter, who himself studied with Ravel. Since then she has taught Ravel’s music at the RCM, Welsh College of Music, Dartington International Summer School and San Francisco Conservatory. Gwendolyn will be playing Erard, 1845 piano, Signed by Thalberg.